Terms, Conditions and Definitions for the Mastercard® Prepaid Card - This document constitutes the agreement (“Agreement”) outlining the terms and conditions under which a non-personalized Mastercard Prepaid Card and/ or personalized Mastercard Prepaid Card has been issued to you. By accepting and using the Card, you agree to be bound by the terms and conditions contained in this Agreement. The term “Card” refers to the Mastercard Prepaid Card and/or personalized Mastercard Prepaid Card issued to you by Home Trust Company. “Non-Personalized Card” means the Mastercard Prepaid Card you received that excludes your personal information from the Card front. “Personalized Card” means the Mastercard Prepaid Card you received that includes your personal information on the Card front. “Issuer” means Home Trust Company. “Card Account” means the records we maintain to account for the value, in Canadian dollars, associated with the Card. “You” and “your” mean the person or persons who have received the Card and are authorized to use the Card as provided for in this Agreement. “We,” “us,” and “our” mean Home Trust Company, our successors, affiliates or assignees. You acknowledge and agree that the value available in the Card Account is limited to the funds that you have loaded into the Card Account or have been loaded into the Card Account on your behalf. You agree to sign the back of the Card immediately upon receipt. The expiration date of the Card is identified on the front of your Card. The Card is a prepaid card. The Card is not connected in any way to any other account. The Card is not a credit card. You will not receive any interest on your funds in the Card Account. The Card will remain the property of Home Trust Company and must be surrendered upon demand. The Card is nontransferable and it may be canceled, repossessed, or revoked at any time without prior notice subject to applicable law. Our business days are Monday through Friday, excluding holidays. Please read this Agreement carefully and keep it for future reference. The Card is a prepaid Card that can be used anywhere that Mastercard is accepted, including Mail Order, online and point of sale retail merchants, subject to the terms of the Agreement. The Card is not a credit card and its usage will not improve your credit rating. No interest or dividends will be paid on the balance of the Card. Neither the card nor the Balance is a deposit account with Issuing Bank. Obtaining Your Card - When you open a Card Account, we will ask for your name, address, date of birth, and other personal information that will allow us to identify you. We may also ask to see your driver’s license or other government issued photo ID. Authorized Users - You are responsible for all authorized transactions initiated and fees incurred by use of your Card. If you permit another person to have access to your Card or Card number, we will treat this as if you have authorized such use and you will be liable for all transactions and fees incurred by those persons. You are wholly responsible for the use of each Card according to the terms and conditions of this Agreement. Using Your Card/Features - You may use the Card to make purchases up to $7,500.00 which is the maximum that can be spent on your Card per day. The Card may not be used for any illegal transactions or purposes. If you authorize another person to use the Card, you agree that you will be liable for all transactions arising from use of the Card by such person. To use the Card, simply present the Card at the time of payment, and sign the receipt with the same signature you used when you signed the Card. You may wish to retain the receipt as a record of the transaction. As you use the Card, the Balance will be reduced by the full amount of each purchase including applicable taxes, charge and other fees, if any. 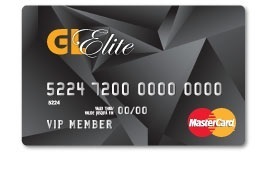 The card can be used the pay the full amount of the purchase and applicable taxes, charges and other fees so long as the Balance remaining on the Card is sufficient. The maximum value of your Card is restricted to your maximum load capacity. You may use your Card to purchase or lease goods or services wherever Mastercard Prepaid Cards are accepted as long as you do not exceed the value available on your Card Account. Some merchants do not allow cardholders to conduct split transactions whereby you would use the Card as partial payment for goods and services and paying the remainder of the balance with another form of legal tender. If you use your Card number without presenting your Card (such as for a mail order, telephone, or Internet purchase), the legal effect will be the same as if you used the Card itself. For security reasons, we may limit the amount or number of transactions you can make on your Card. Your Card cannot be redeemed for cash. You may not use your Card for any illegal transaction. Each time you use your Card, you authorize us to reduce the value available on your Card Account by the amount of the transaction and any applicable fees. You are not allowed to exceed the available amount on your Card Account through an individual transaction or a series of transactions. Nevertheless, if a transaction exceeds the balance of the funds available on your Card, you shall remain fully liable to us for the amount of the transaction and any applicable fees. You do not have the right to stop payment on any purchase or payment transaction originated by the use of your Card. You may not make preauthorized regular payments from your Card Account. If you authorize a transaction and then fail to make a purchase of that item as planned, the approval may result in a hold for that amount of funds for up to thirty (30) days. Transactions in Excess of Remaining Balance - It is your responsibility to keep track of your spending on the Card. If you attempt to use the Card when there is insufficient Balance available to cover the full Transaction Amount, the transaction in most instances will be declined. However, if due to a systems malfunction or for any reason whatsoever, a transaction occurs despite insufficient Balance on the Card, creating a negative amount, you agree to reimburse us, upon request, for the amount of the Transaction Amount in excess of the Balance. For nonreloadable cards, we retain the right to offset any negative balances against funds available on any subsequent card purchased by or for you, registered in our system in your name. Cash Access - With your PIN, you may use your Card to obtain cash from any Automated Teller Machine (“ATM”) or any Point-of-Sale (“POS”) device, as permissible by a merchant, which requires entry of a PIN and that bears the Mastercard brand marks. The maximum cumulative amount that may be withdrawn from an ATM is $1,000.00 per day or the balance of your card, whichever is less. Any funds withdrawn from a POS device or through a participating bank (over the counter withdrawal) will be subject to the maximum amount that can be spent on your Card per day. Returns and Refunds - If you are entitled to a refund for any reason for goods or services obtained with your Card, you agree to accept credits to your Card Account for such refunds. Charges Made in Foreign Currencies - The Balance is in Canadian currency and is intended for transactions in Canadian currency only. If a transaction is made on your Card in a currency other than Canadian currency, you authorize us to deduct from the amount of any credit to your Card, which we receive in foreign currency, the Bank’s cost of obtaining Canadian funds, plus an administration fee of 2% of the converted amount of the credit. Receipts - You should always get a receipt at the time you make a transaction using your Card. You agree to retain your receipts to verify your transactions. Confidentiality - We may disclose information to third parties about your Card or the transactions you make: 1.Where it is necessary for completing transactions; 2. In order to verify the existence and status of your Card for a third party, such as merchant; 3. In order to comply with government agency, court order, or other legal reporting requirements; 4. If you give us your written permission; or 5. To our employees, auditors, affiliates, service providers, or attorneys as needed. In all cases, the provisions of applicable federal or provincial laws regulating disclosure of personal information will take precedence. PIN Change / Request $1.50 Charged per PIN Change or PIN Request. The first PIN request is free. *Note: For all ATM transactions, including a balance inquiry, the owner of the ATM may charge a fee even if you do not complete a withdrawal. This ATM fee is a third party fee amount and is not assessed by us. This ATM fee amount will be charged to your card. Tolerance - All restaurants, hotels, car rental purchases, hair/personal service salons and other service-related merchants will factor in an additional 20% (or more) in pre-approval ONLY to cover any tip you may leave on the purchase - you only pay the amount you sign for at the end which could be more or less. This means you need to have an available balance on your card of at least 20% more than your total bill. If your total purchase after adding in the additional 20% (or more) exceeds the balance on the Prepaid Card, it will be declined. All transactions relating to car rentals may result in a hold for that amount of funds for up to ninety (90) days. Similarly, some hotels may choose to factor in additional amounts upon check-in, and it may take up to thirty days after your stay to have any excess amounts held by the hotel added back to your available balance. Prepaid cards are not to be used at automated fuel dispenser (pay at the pump) kiosks but CAN be used to pay for fuel in-store with the cashier. The merchant may preauthorize the transaction amount up to $125.00 or the maximum allowed pursuant to your local law, causing the transaction to be declined. Our Liability for Failure to Complete Transactions - If we do not properly complete a transaction from your Card on time or in the correct amount according to our Agreement with you, we will be liable only for your actual and reasonable losses or damages. However, there are some exceptions. We will not be liable, for instance: 1. If through no fault of ours, you do not have enough funds available on your Card to complete the transaction; 2. If a merchant refuses to accept your Card; 3. If an electronic terminal where you are making a transaction does not operate properly; 4. If access to your Card has been blocked after you reported your Card lost or stolen; 5. If there is a hold or your funds are subject to legal process or other encumbrance restricting their use; 6. If we have reason to believe the requested transaction is unauthorized; 7. If circumstances beyond our control (such as fire, flood, or computer or communication failure) prevent the completion of the transaction, despite reasonable precautions that we have taken; or 8. Any other exception stated in our Agreement with you. Your Liability for Unauthorized Transfers - Contact “Card Service” at once if you believe your Card has been lost or stolen. Telephoning is the best way to minimize your possible losses. If you believe your Card has been lost or stolen, or that someone has transferred or may transfer money from your Card Account without your permission, call Card Service immediately. If you notify us within two (2) business days, you can lose no more than $50 if someone used your Card without your permission. If you do not notify us within two (2) business days after you learn of the loss or theft of your Card and we can prove that we could have stopped someone from using your Card without your permission if you had promptly notified us, you could lose as much as $500.00. Other Terms - Your Card and your obligations under this Agreement may not be assigned. We may transfer our rights under this Agreement. Use of your Card is subject to all applicable rules and customs of any network, regulator or other association having jurisdiction over the movement or settlement of transactions. We do not waive our rights by delaying or failing to exercise them at any time. If any provision of this Agreement shall be determined to be invalid or unenforceable under any rule, law, or regulation of any governmental agency, local, provincial or federal, the validity or enforceability of any other provision of this Agreement shall not be affected. This Agreement will be governed by the laws of the Province of Ontario except to the extent governed by federal law. Amendment and Cancellation - We may amend or change the terms and conditions of this Agreement at any time. You will be notified of any change in the manner provided by applicable law prior to the effective date of the change. However, if the change is made for security purposes, we can implement such change without prior notice. We may cancel or suspend your Card or this Agreement at any time. You may cancel this Agreement by returning the Card to us. Your termination of this Agreement will not affect any of our rights or your obligations arising under this Agreement prior to termination. Information About Your Right to Dispute Errors - In case of errors or questions about your electronic transactions, call Card Service or write to Cardholder Services, 2680 Skymark Ave. Suite 420, Mississauga ON L4W 5L6. If you think your statement or receipt is wrong or if you need more information about a transaction listed on the statement or receipt. You must contact us no later than sixty (60) days after the FIRST statement was made available to you on which the problem or error appeared. (1) Provide your name and Card number (if any); (2) Describe the error or the transaction you are unsure about, and explain why you believe it is an error or why you need more information; and (3) Provide the dollar amount of the suspected error. If you provide this information orally, we may require that you send your complaint or question in writing within ten (10) business days. We will determine whether an error occurred within ten (10) business days after we hear from you and will correct any error promptly. If we need more time, however, we may take up to forty-five (45) days to investigate your complaint or question. If we decide to do this, we may credit your Card within ten (10) business days for the amount you think is in error, so that you will have the use of the money during the time it takes to complete the investigation. If we ask you to put your complaint or question in writing and you do not provide it within ten (10) business days, we will not credit your Card. For errors involving new Cards, POS transactions, or foreign-initiated transactions, we may take up to ninety (90) days to investigate your complaint or question. We will tell you the results within three (3) business days after completing the investigation. If we decide that there was no error, we will send you a written explanation. Copies of the documents used in the investigation may be obtained by contacting: Mastercard Prepaid Card c/o 2680 Skymark Ave. Unit 420, Mississauga ON L4W 5L6. 2019 Group of Gold Line. All rights reserved.